In the Okinawan dialect, Uchinanchu means someone native to Okinawa. With more emigrants than most other prefectures in Japan, Okinawa saw a large number of its people leave for foreign shores before and after World War II. Now, about 400,000 Okinawans live all over the world in such places as North and South America. Throughout the century-long history of Okinawan emigration, emigrants from Okinawa Prefecture and their descendants overcame difficulties and hardships through a combination of indomitable will and generosity of spirit. They are valuable contributors to the countries in which they have settled, active in such diverse fields as politics, finance, culture and academia. They continue to win acclamation and trust by contributing greatly to their countries' development. 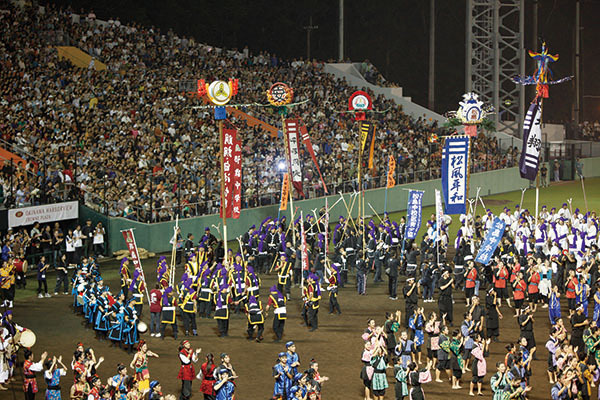 The Worldwide Uchinanchu Festival is held every five years in Okinawa, with the sixth edition scheduled for October 2016. 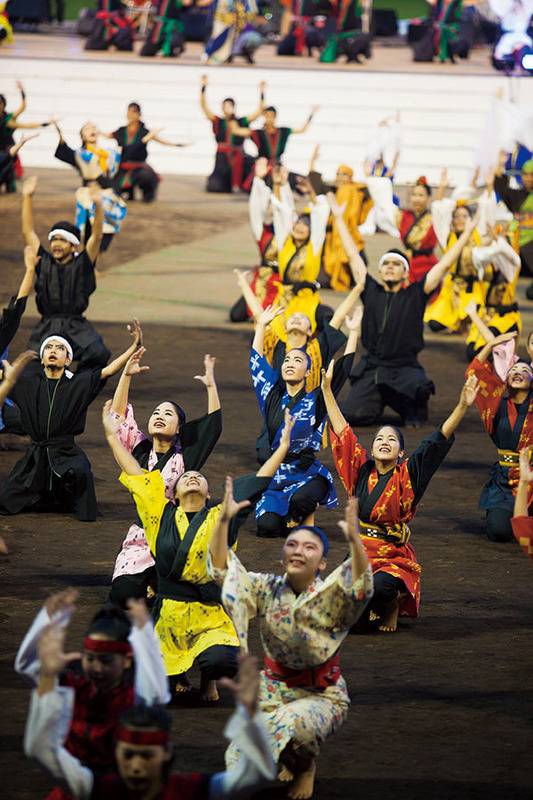 In fall 2011 the 5th Worldwide Uchinanchu Festival took place, and despite the concern that there would be a considerable decrease in participation due to the Great East Japan Earthquake, a record high of nearly 5,000 descendants of Okinawan emigrants came to the island from 23 countries around the world to take part. Okinawan networks are surprisingly strong, bound by the thought of home regardless of nationality or age. Influenced by their indigenous culture, Okinawans put a high value on ancestor worship, and the passion of their forebears for Okinawa has been passed down to the present day. A strong connection among families and the pride in Okinawa that runs in their veins: These are the sources of the power of Okinawa. The Worldwide Uchinanchu Festival is an event in which Uchinanchu from around the world interact across nationalities. Participants include regular attendees who look forward to this event every five years, those who come home for the first time in decades, second and third generation Okinawans finally setting foot on the land of their parents or grandparents, and the families and relatives on Okinawa who warmly welcome them. With the aim of passing down Okinawan identity and establishing a network for the younger generations, the World Youth Uchinanchu Association was founded in 2011 by volunteers in Okinawa along with branches on the US mainland and in Hawaii, Brazil, Bolivia, Peru, Argentina and the UK, to organize cultural exchange and similar activities.